1. Madeleine “Korbel” Albright: Born of Czech Jewish parents, Arnost & Olga Korbel. Secretary of State from 1997-2001. 3. David Gordon: Current Under Secretary of State for Policy Planning, 2007-Present. 4. Stephen Krasner: Under Secretary of State for Policy Planning, 2005-2007. 5. Richard Haas: Under Secretary of State for Policy Planning, 2001-2003. Current President of the Council on Foreign Relations. 6. Bonnie Cohen: Current Under Secretary of State for Management, 1997-Present. 7. Elliott Abrams: Neocon Jew. Former Under Secretary of State for Latin America. Current National Security Advisor for Global Democracy Strategy. BEHIND MUSLIM TAKEOVER OF CHRISTIAN KOSOVO! 3 MONTHS AFTER TAKING OFFICE as US Secretary of State in 1997, the Jew Madeleine “Korbel” Albright created a new post: Ambassador At Large For War Crimes Issues. 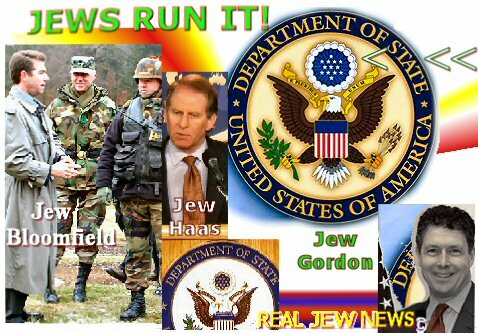 She appointed the Jew David Scheffer who wrote the book, Self-Determination In the New World Order. The Anti-Christian Jew David Scheffer immediately set out to punish Serbian President Milosevic by advocating military action against the Orthodox Christian nation of Serbia for so-called “crimes against humanity” in Kosovo. — “Military intervention may be used for responding to international hot spots. It needs to be considered to what end the US should become involved in a conflict between an established state and a secessionist movement. Published by the Council on Foreign Relations. Can we not see this policy implemented this very day with regard to Kosovo Muslims declaring “independence” with full US support in spite of Serbia’s & Russia’s opposition? 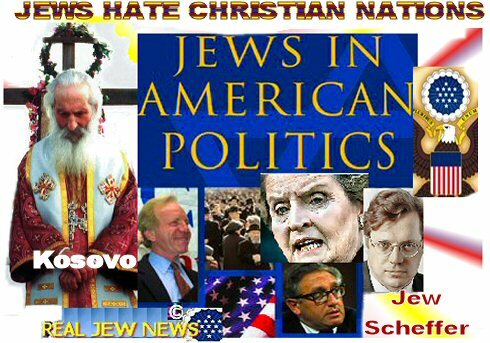 THE JEWISH POLITICAL INFLUENCE IN AMERICA? 1) Hide in a cave and never read the news again. 2) Climb Mt Everest & say you did it because no Jews were ever there. 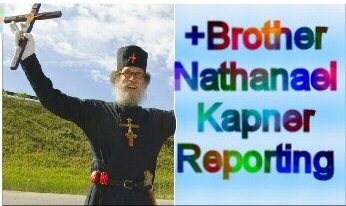 3) Tell all your friends, Letters to Editors, Internet Forums, and neighbors, that Anti-Christ Jews running the US State Department have handed a Christian region over to the Muslims! I was in the state department under Colin Powell - nearly every undersecretary was either jewish or under jewish control - it was tragic to see such ill conceived ideas be promulgated to force the USA to create the Iraq war based solely on lies - the lies of which brought one of the authors of these lies, condi rice, to remove powell in bush’s 2nd term. Too much to bear - I, as well as hundreds more, left in disgust. I remember when the State Dept. made this announcement. They were literally forbidding ANY criticism of Israel and this is our State Dept!! The case is different in Indonesia. We the brown people CANNOT be infiltrated by the evil elements among the Jews/MOSSAD. Yet, the MOSSAD that formerly considered Singapore as their post to cover the SouthEast Asian nations, as of 1967 they got friends in Indonesia, and started OFFICIALLY having base in Jakarta, purpoting as the European businessmen carrying EUROPEN passports! Aha! The MOSSAD killer squad in Dubai carried British passports! Further, since the late Foreign Minister Ali Alatas left (I knew him quite close), the top echelon posts in the Foreign Affairs Office in Jakarta have been held by mostly Geneva - or New York (the UN) offices based senior diplomats! The president, and his predecessor, also their deputies/Secretary General had/have been those groomed in the UN system in Geneva and New York! Enter the UN Hidden Agenda. SEARCH my name above or Tjoaginsing, and ENJOY! BTW, last year a close friend who had real close friends in the USA among the PATRIOTS who have the access to the US N.S.A. “Above Cosmic” level tightly guarded secrets with such category, told me that Minister ALATAS was killed — silently by the Illuminati! — when he was treated in SINGAPORE! Why? Since as a devout Muslim, he at last has realized of the Illuminati’s Dark Agenda…and wished to repent sort of…. My question: Are the white people world wide satisfied with having knowledge such as this? If so, carry on with your life - if not, what are ya going to do about it? Excuse my belated reply. I had been away recently and OFF line. What I meant to say that we — MOST Asians being brown-skinned — is that we Indonesians were LESS vulnerable to the mostly WHITE-skinned MOSSAD agents, while in the most Western nations, USA included, same secret Israeli agents have been difficult to detect. What benefit to the White people (of such info): they, and you too, MUST be much more vigilant! Zionists = Illuminati = the UN share common objective: NWO! So, especially regarding the UN, kindly do your own research; watch the attitude of your nation’s senior diplomats who had been station at your country’s Permanent Representative Offices either in New York or Geneva. World needs to unite against the Jewish menace. Why wasn’t Hillary Rodomsky Clinton mentioned in this list? As she was growing up in a Chicago suburb, she says she remembers her grandmother speaking Yiddish, and her grandfather from Poland taking her to synogogue.